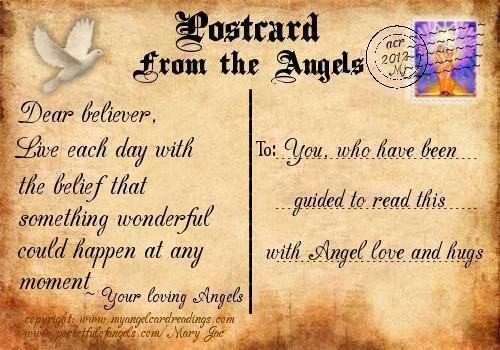 so they are sure to have guided you to read this postcard for a reason. or helping you through a difficult time. trying to help you with their comforting words today. You are not permitted to copy or reproduce these cards in any other way on another website or printed publication.